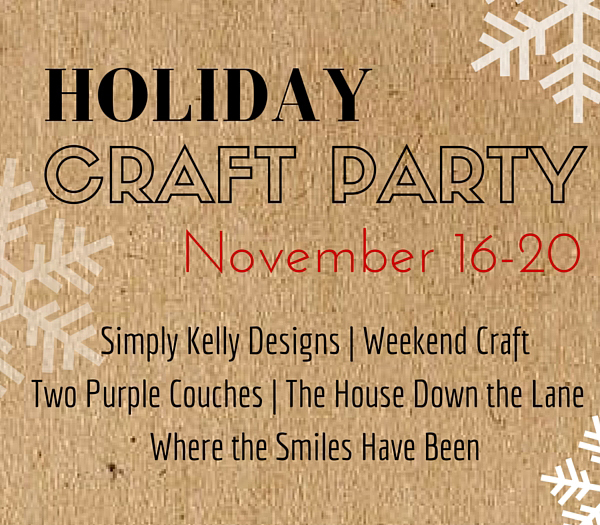 I hope you were able to join us for last week’s Holiday Craft Party. 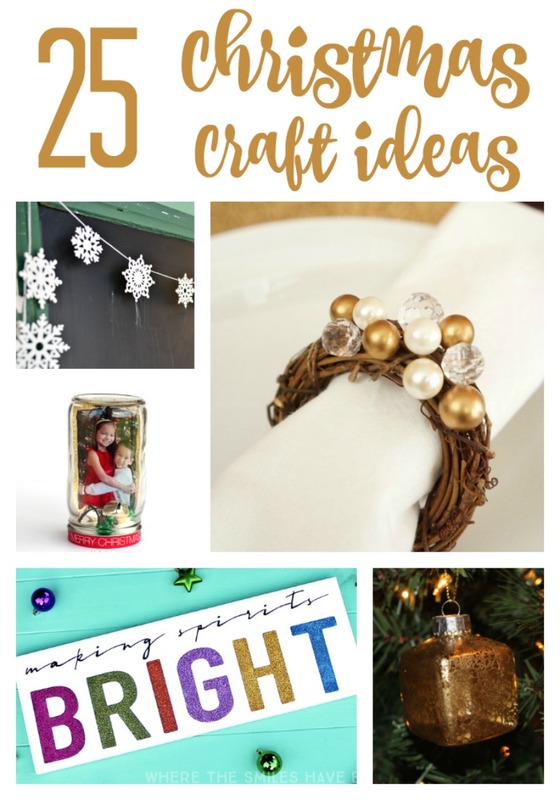 But in case you weren’t, or if you’re still playing catch-up, I thought I’d round up each of our daily themes into one easy-to-find place, bringing you a total of 25 Christmas craft ideas! First, I’d like to give a shout-out to my amazing co-hosts: Michelle of Weekend Craft, Kelly of Simply Kelly Designs, Tiffany of The House Down the Lane, and Christine of Where The Smiles Have Been. If you haven’t met these ladies before, go check out their blogs now! You won’t be disappointed! This entry was posted in Made It Myself on November 23, 2015 by Two Purple Couches.